Three weeks ago, I published that I expected the Tesla Model 3 would be the 5th best selling car in the United States in August. That has now been confirmed*. For my monthly estimate, I’ll still stick with the lower 17,000 figure for extra caution. That still puts Tesla Model 3 sales well ahead of BMW car sales. Pulling in other car sales data from Good Car Bad Car as I normally do, it’s clear the Tesla Model 3 is solidly the #5 best selling car in the United States no matter what the precise August figure was. Adding in base prices for the top 10 cars, it’s also clear the Model 3 is by far the most expensive car on that list. 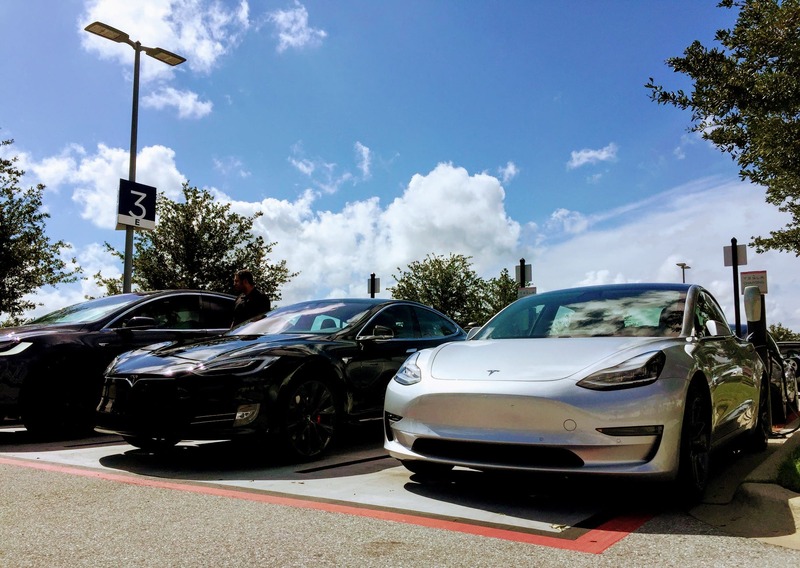 This follows reports we’ve written after discovering that Tesla production appears to be passing up Jaguar production globally, Porsche sales globally, BMW sales in the USA, and combined brand sales of all models in or near the Model 3 class in the USA. Shockingly, the mainstream media has not been covering these dramatic milestones in a young American car company’s evolution. Tesla started mass producing cars only 6 years ago, which makes its rise to the top of the charts today absolutely stunning. However, the mainstream media seems to think it’s more worthwhile to write long stories about brief off-hand tweets from Elon Musk than these sales successes. Here at CleanTechnica, we’ve started tracking Tesla headlines in the mainstream media. This week so far, out of 63 headlines, we’ve found that 43 insinuate something negative about Tesla while only 9 offer positive implications for the company. Furthermore, there is not yet a single positive headline about Tesla sales. There’s much more to write about these insane findings, but I’ll leave that for the weekend since it’s 4:00am here. *Note: We’re just talking cars, not SUVs or pickup trucks. If including SUVs & pickup trucks, the Model 3 appears to come in at #15.